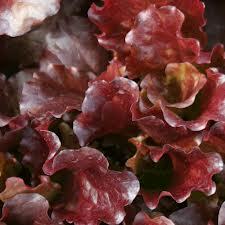 Hydroponically grown red leaf lettuce sold by the head. Crisp, nice lettuce adds color and variety to your salads. No pesticides used on this lettuce. Eggplant - Organic - Assorted - 1 lb. Saute Mix - Organic - 4 oz.